Phobias can be treated with therapy, but when you're looking for a therapist you may not know where to start. Follow this guide to locating a great therapist who can help you learn to manage your fears. Get a Referral: Your friends, family, and medical doctor may be able to recommend a therapist to you. Many larger cities also provide referral hotlines, which are generally free of charge. Another wonderful source for referrals is your local university or medical center. These facilities often have mental health centers attached, where you can find a variety of mental health specialists. Keep in mind that referrals from mental health providers are generally the most reliable. 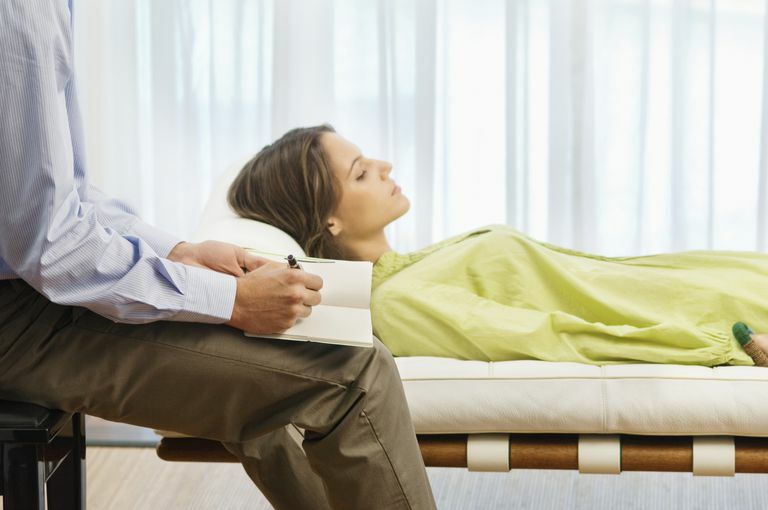 Check Credentials: Although most therapists are excellent, pseudo-therapists with dubious credentials do exist. Make sure that you choose a reputable professional. Most licensed clinical psychologists spend an average of seven years in training after college to earn doctoral degrees. Inquire About Specialization: Many therapists choose to specialize in a particular branch of therapy. Others limit their practices to certain age groups. Call the offices or visit the websites of potential therapists to determine if they treat clients of your age with phobias. Check With Your Insurance Company: Most insurance companies maintain a list of preferred mental health providers, which may be available online. Using a preferred provider generally results in out-of-pocket savings. Be Upfront: Therapists are used to working with insurance companies. Be honest about what your insurance will and will not cover, and work with your therapist to develop the best possible treatment plan. Under the mental health parity laws of 2010, if your insurance company offers mental health benefits, they can't be more severely restricted than those offered for physical illnesses. Additionally, mental health benefits are considered an "essential benefit" under the Patient Protection and Affordable Care Act, which took effect in 2014. Look Into Low-Cost Alternatives: If you are uninsured or underinsured, you may qualify for low-cost or sliding scale services at your local community mental health center. Look online or call your local health clinic for information about services in your area. Consider a Group Seminar: Although self-diagnosis can be dangerous, if your phobia is obvious and isolated, such as a fear of flying, a group seminar may be helpful. Online support groups are good sources of information on targeted seminars for a range of specific phobias. Interview the Potential Therapist: Your first appointment will consist of an intake interview. The therapist will ask you many questions, but it's a good opportunity to ask some questions of your own. It's important for you and your therapist to establish a rapport, so don't hesitate to interview him or her and see if you click. It can be difficult to trust someone immediately, but complete honesty in the first session is the best way to see if your chosen therapist is right for you. American Psychological Association. How to Choose a Psychologist. American Psychological Association. Licensure & Practice.